Many families who come here from a wide variety of different countries describe this area as a "home away from home." Great first-run movie locations, such as the CineArts and AMC Theater franchises, Santana Arts Theatre, and Cupertino's Blue Light Theater. Additionally, The Alameda Theatres nearby specializes in showing first-run Bollywood/Indian films. Nearby shopping destinations include Cupertino Square, Sunnyvale Town Center, Stanford Shopping Center and Santana Row.From the bargain outlet mall at Westgate Shopping Center to upscale Westfield Shoppingtown Valley Fair, along with a wide variety of ethnic grocery and restaurant choices, West San Jose is a comfortable melting pot. A wide variety of ethnic grocers, retail and personal service providers are located here, including Ranch 99 Market and Pasha's Market. The Lynbrook High Homes area is named for the wonderful part of West San Jose in Zip Code 95129, whose residents are blessed to attend Lynbrook High School, part of Cupertino's Fremont Union High School District, as well as the elementary and middle schools of the Cupertino Union School District. The rest of West San Jose, Zip Code 95129, attend Cupertino High School, which is apart of the same award-winning Fremont Union High School District. For Re$ult$ ... Just Call ... (408) 252-8900 !! Aloha! Year after year, Michelle C. Carr-Crowe and the Get Re$ult$ Team, a Diamond-Certified real estate team, have helped families like yours buy and sell homes in Santa Clara County. We absolutely know the West San Jose, Cupertino & Lynbrook High Neighborhood: the Sellers, the Buyers & the Schools. We know why Buyers pay more for certain streets. We are members of the National Association of Realtors, California Association of Realtors, Santa Clara County Association of REALTORS, Silicon Valley Association of REALTORS, Women's Council of REALTORS, Luxury Home Council and Local Multiple Listing Services-as well as the Better Business Bureau. We are a dynamic, diverse and dedicated team of energetic, enthusiastic and experienced real estate consultants serving as creative catalysts for positive wealth-building change in people's lives(c). We also offer Featured Listings with Multiple Photos on Homes.com, MLSListings.com and the exclusive Luxury Homes and Properties Web site, as well as Staged Homes. We provide professional virtual tours of all listings. We advertise in a variety of publications with proven results, ranging from the San Jose Mercury News to the Chinese World Journal and numerous Internet Web sites. 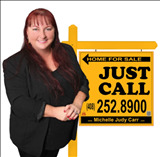 Of course, we market all homes through our Website, http://www.lynbrookhighhomes.com and http://www.MichelleJudyCarr.com and it's important you know that our page is CONSISTENTLY in the Top 10 search results for home buyers looking for homes in the San Jose Lynbrook High area on GOOGLE, ASK, MSN & YAHOO! We can manage all transaction paperwork online for the convenience of our international clients. We are members of several other professional and service organizations and offer excellent international service through a preferred Referral network of real estate professionals. We are a 100% Referral business. People know we are the Lynbrook High Homes Experts ...and aProfessional Team with a Reputation for Re$ult$ that consistently exceeds clients' expectations. Our goal is help you achieve your real estate goals, and to perform our duties so exceptionally well that you actually enjoy the process! Let us show you how we make Sellers more money than any other agents, teams, offices & companies. For a FREE report showing Michelle and the Get Re$ult$ Team's RE$ULT$, call 408.252.8900.